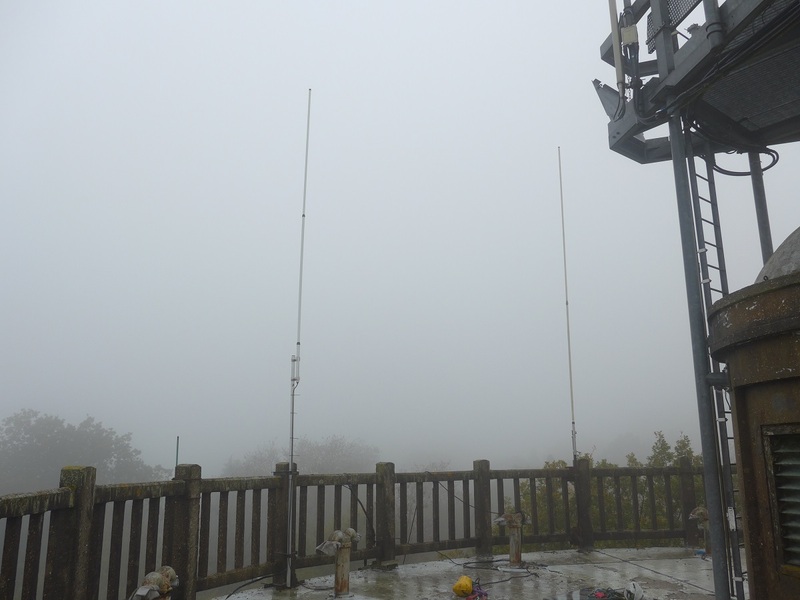 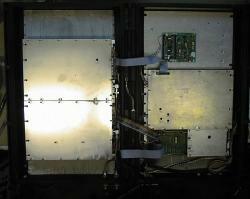 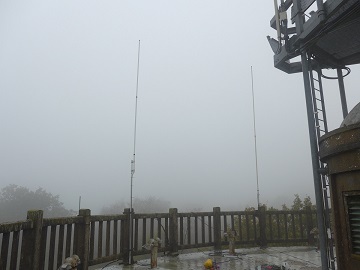 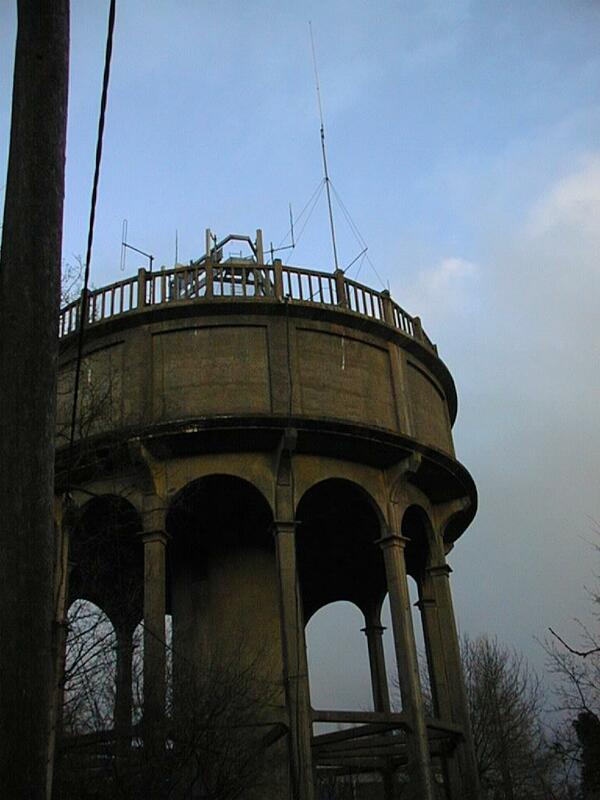 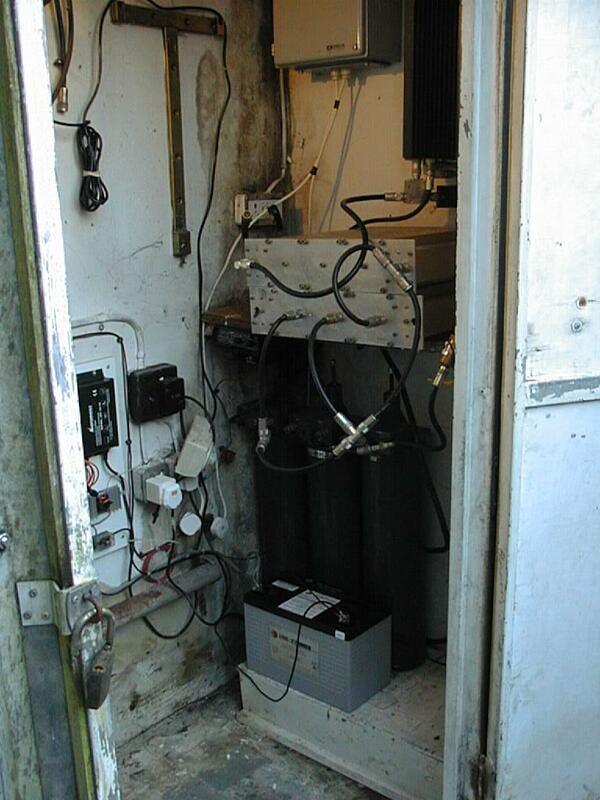 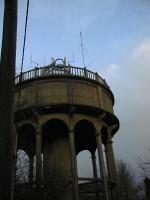 These are a few photographs showing the repeater site and equipment. 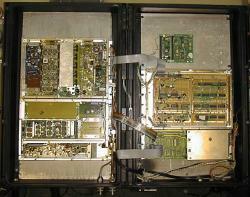 Click on any of the pictures below for a larger version of that image. 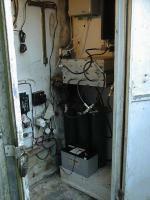 What the site equipment looks like, with filters and backup battery. 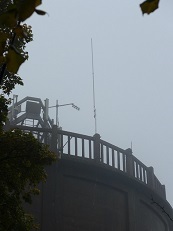 The new (2015) Tx antenna. ...and exposed with them off. 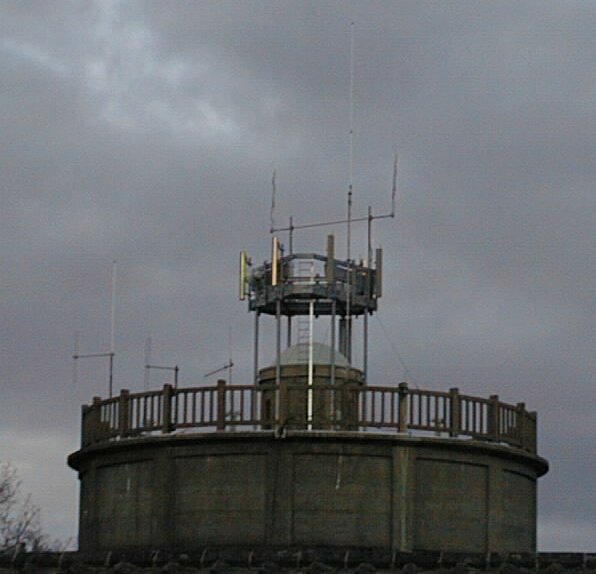 And these are some of the other antennas on the tower. The potential for interference is growing!